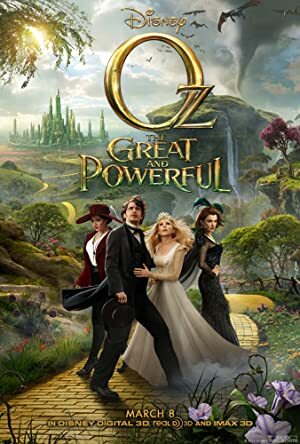 Story….Oz the Great and Powerful is a 2013 American fantasyadventure film directed by Sam Raimi and written by David Lindsay-Abaire and Mitchell Kapner. 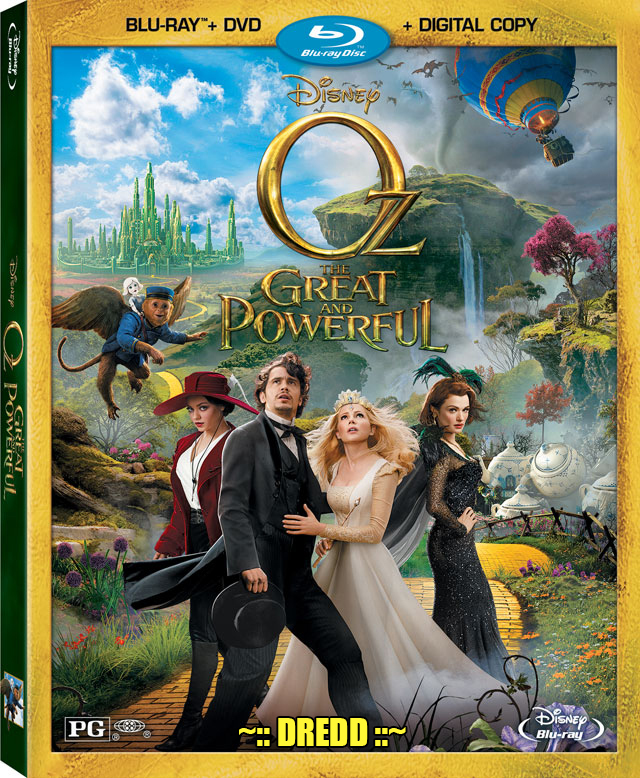 Based on L. Frank Baum‘s Oz novels and set 20 years before the events of the original novel, the film is a spiritual prequel to the 1939 Metro-Goldwyn-Mayer film The Wizard of Oz.Starring James Franco, Michelle Williams, Rachel Weisz, Mila Kunis, Zach Braff, Bill Cobbs, Joey King, and Tony Cox, the film tells the story of Oscar Diggs, a deceptive magician who arrives in the Land of Oz and encounters three witches: Theodora, Evanora and Glinda. 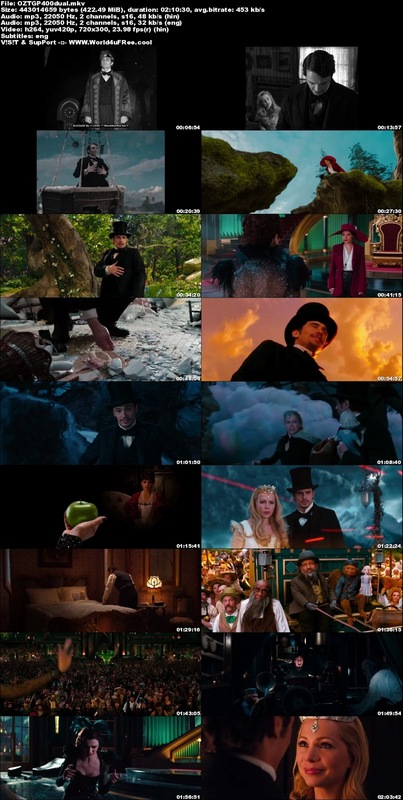 Oscar is then enlisted to restore order in Oz while struggling to resolve conflicts with the witches and himself.